by Jean Shinoda Bolen M.D. 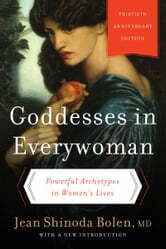 A classic work of female psychology that uses seven archetypcal goddesses as a way of describing behavior patterns and personality traits is being introduced to the next generation of readers with a new introduction by the author. More By Jean Shinoda Bolen M.D.